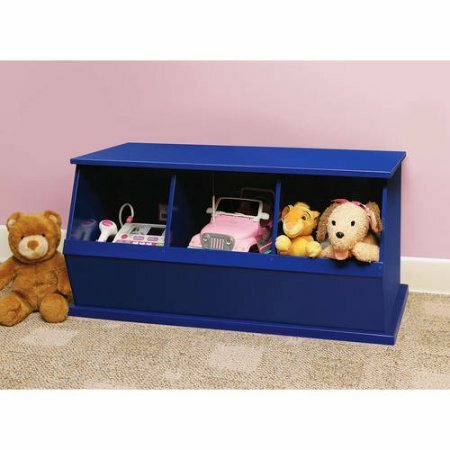 Stackable Three-Bin Storage Cubby, Multiple Colors, Children's Storage Organizer, Playroom Set, Kid's Furniture, Three-Bin Design, Cubby Wooden Storage Space, Toy Chest, BONUS e-book (Blue) by Best Care LLC at Indsight. Hurry! Limited time offer. Offer valid only while supplies last. Three-Bin Storage Cubby is a sturdy, stackable, modular storage solution to keep all items neatly organized and out of sight. This stackable storage bin can be used to store books or magazines, toys, clothes, shoes and boots, winter accessories, sporting goods, videos/DVDs/CDs, craft supplies, and more. The three-bin design helps you to efficiently sort the items for easy access.